Barrett signed a reserve/future contract with the Saints on Monday, Nick Shook of NFL.com reports. Analysis: Barrett's transaction history reads more like a long receipt than anything else. Drew Brees isn't going anywhere, and the Saints seem enamored with the prospects of Taysom Hill. Teddy Bridgewater likely will test the free-agent waters this offseason. Whether Barrett can ultimately latch onto the 53-man roster by the end of the 2019 preseason seems to hinge on variables out of his control. At the very least, Barrett will have an opportunity to showcase what he can bring. Barrett signed a contract with the Saints' practice squad Saturday, Brett Martel of the Associated Press reports. 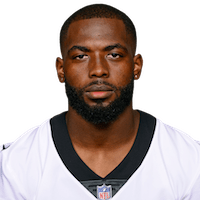 Analysis: This marks the 11th time Barrett has been signed to the Saints' practice squad over the course of the 2018 season. While it's highly unlikely the former Ohio State quarterback will be lifted to the active roster during New Orleans' playoff run, it's becoming clear that the team sees something appealing in Barrett as a long-term prospect. There are no videos available for J.T. Barrett. Click here to view all videos.